Personalization is a common term with digital products. But what does it actually mean, why do we do it, and how does it affect the product manager? To illustrate, let me tell a personal story. I have gone to the same hairdresser for 10 years. He has seen a big part of my life, with big changes and evolutions. He knows my preferences. I like to have my appointments in the morning. I like to try new styles, but I expect him to come up with the new ideas. Additionally, he knows my hair, so he is able to produce a great end result every time. He remembers all of this about all of his regular customers, and because of that, not only does he do great cuts, he is able to serve everyone in a slightly different, personal way. So the basis of personalization is good memory plus the ability to use everything you remember about the person. The story also illustrates why personalization is important. It is almost impossible to make me go anywhere else, because the cost of switching is just too high. The trust that has been built over time in this relationship is so strong, I don’t have any interest in exploring alternative service providers. 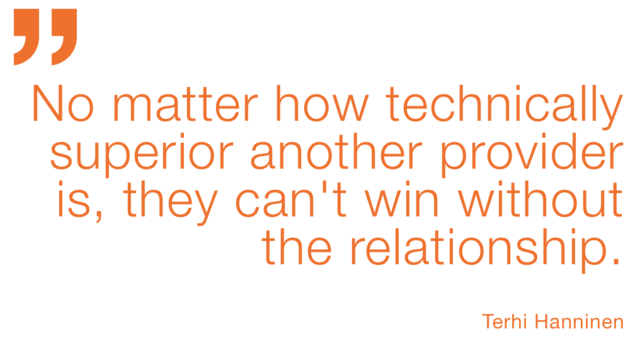 No matter how technically superior some other hairdresser is, he can’t win without the relationship. At platforms like Zalando, the challenge of personalization comes from three facts: the scale of stock and customers (300,000 items and 23 million customers), the requirement of automated relationship building, and the tricky balance between being cool or creepy. How does a product manager’s work change when the product is personalized? If we define product management as the intersection of tech, business and design, we can observe the impact from these three angles. Design is all about the user experience. If you haven’t been customer obsessed before, now is the time. You need to be able to understand your customers at a very deep level. What are the aspects of the experience that actually add value, if personalized? Is it just the item recommendations, or everything from marketing to delivery? What is the right level of personalization, what makes it feel good and valuable? This might vary a lot depending on the culture and the individual. What are the customer’s goals at different times? Are they exploring or exploiting? How do you recognize those goals and then help customers reach them? Personalization forces you to a new level of customer insight, user research, and design. From a business point of view, you need to level up your KPI skills. Zalando is divided into independent product teams which are responsible for one functional part of the whole; think of home page, category page, product page, wishlist, search, etc. Personalization must run consistently through all of these. Personalization alone does not make one single sale. So what is the goal and how do you measure the value of personalization? Looking at the short term, such as click-through rate, might lead us to optimize for interest, but it’s not valuable, causing negative effects further along in the customer journey. Optimizing for the current session might also be harmful for long-term relationship building. If the vision is to build a relationship like I have with my hairdresser, then you need to go for the long-term KPIs like the customer lifetime value, and some measures on how deep the relationship is; maybe by how diverse the usage of the shop is, and how widely the user shops across categories. Measuring these kinds of KPIs and attributing them correctly is not trivial. In tech, we turn to data. First of all, you need the data that is predictive to your problem. You might have to start by building something just to gather data that enables the next steps. You can get to a certain level with rule-based systems, but at some point you enter the world of Machine Learning. Being a Product Manager with a ML product requires understanding of both data science and machine learning. You will be modeling human behaviour with a machine, so you need to be able to facilitate that discussion with the design, business, and tech experts. Data Science lives up to its name; it is science, not your standard software development. Be prepared for model exploration, data gathering, cleaning, labeling, lots of iterations, and discussions on when the performance is good enough. Dig up your statistics and probability skills, because you need to understand how those relate to what the customer will experience. In summary, personalization offers an exciting challenge for a product manager to stretch their skills in all aspects of the role. But like in every product, the core is still the same: Deep understanding of the customer problem, and an exciting vision for the solution will take you far. Come work for us in our Helsinki tech hub. Take a look at our jobs here.